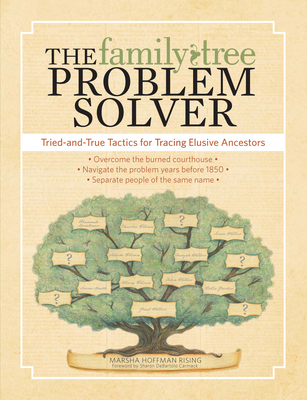 Marsha Hoffman Rising CG, FASG, was a professional genealogist who specialized in problem-solving issues that arise while researching nineteenth century ancestors. She also served as vice president of the National Genealogy Society and served on the boards of the Association of Professional Genealogists, the Board for Certification of Genealogists, the New England Historic Genealogic Society, and as president of the Federation of Genealogical Societies and the Genealogical Speaker's Guild. During her thirty year professional career in genealogy, she received the National Genealogical Society Award of Merit (1989), was elected a Fellow of the Utah Genealogical Society (1990), received the FGS George E. Williams Award (1991), the National Genealogical Society Award of Excellence (1992), and the FGS Malcolm H. Stern Humanitarian Award (1999).